It’s that time of year again when families are calling to set up plans for the holidays! Everyone knows what the holidays mean – huge family style buffets for breakfast, lunch, and dinner. Don’t skimp on creating a festive feast because you feel you have to cut back on flavor, just to make a lean, heart healthy menu. There are so many ways to incorporate big flavors with bold recipes that everyone will find delectable and will want to come back for more! Just remember, over indulgence is the killer to keeping calories down and eating heart healthy! 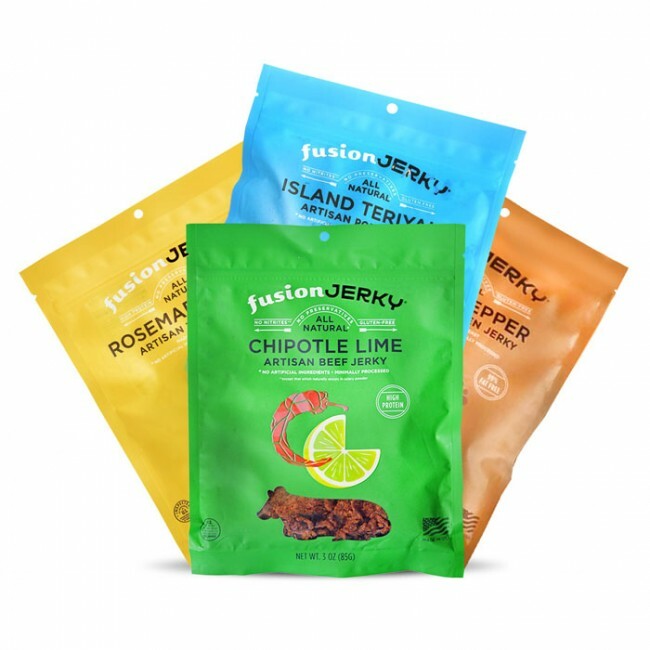 Fusion Jerky wants to show everyone that they can enjoy their feast all the while keeping those calories down with some tasty, healthy alternatives. It’s important to keep in mind portion control when you’re at a holiday feast. We know…it’s difficult with all the amazing food , but it will make you healthier and happier in the long run! Reading through so many healthier alternatives online, this is an outline of our favorite and most recommended swaps for this holiday season! Instead of mayo-based dips, eat yogurt-based dips – just as flavorful and tasty as the next! Mashed Potatoes, although delicious, lose a lot of nutrients when mixed with milk and other ingredients. Instead make natural mashed potatoes with roasted garlic and a pinch of salt or use sweet potatoes! Dark meats have been getting a lot of heat lately! Just to be on the safe side, stick to the white meats, making sure they aren’t pink! Keep it traditional with gravy, just eat a lower-fat gravy! Cranberries hold a lot of sugars, but natural sugars which are better for your health. This year make a cranberry chutney or relish instead of using jam! Move towards whole wheat for your rolls instead of white flour! That delicious green casserole dish always leaving you wanting a little more. This year, toss green beans in some flavorful spices and serve them without the richness. If you must have the richness, make it on the side and serve it together like a gravy! Instead of heavy creams, swap it out for coconut milk or cashew milk! Take out your sweet tooth just a bit and replace white sugar with vanilla extract. You will gt the perfect amount of sweetness you are looking for without all that added sugar. A favorite appetizer that is made often is by Martha Stewart, Carrot and Potato Latkes! This simple recipe is fun and easy to swap out ingredients to use ones you prefer! A great side dish for those decadent slices of turkey is this Roasted Red Saffron Pepper Recipe by Martha Stewart! The flavors with the turkey are just immeasurable! Must try! Drink Substitutes or Alternatives – check out this link we found for traditional holiday drinks! They provide a bit of information on the traditional drink and give options or alternatives just underneath each caption. These sound delicious and we cannot wait to try them out! Check out Fusion Jerky at your local Safeways this coming weekend from 10:30 – 1:30 pm! Check out these photos from our last demo at the Menlo Park Location! Let us know if you want Fusion Jerky to host a demo at your local Safeway! 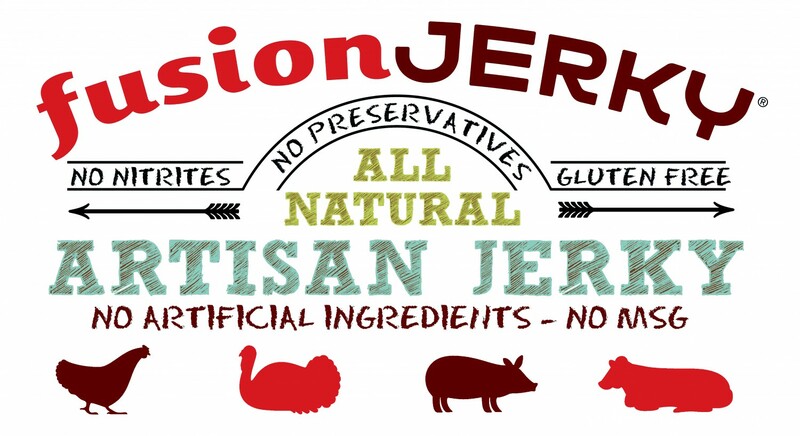 Previous Previous post: Fusion Jerky hits Safeway shelves!